My new spinning wheel, I thought I was all set. 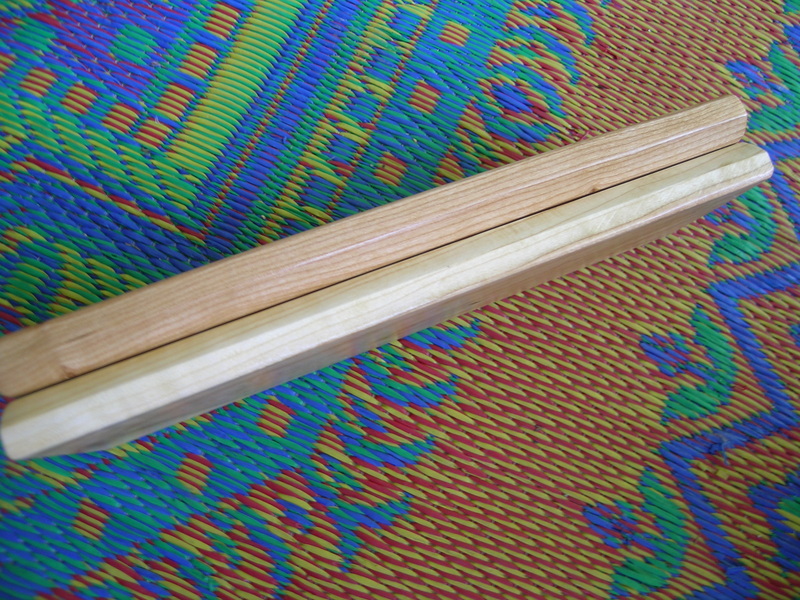 Then, I tried to ply with my Ashford Lazy Kate to hold the Bobbins and low and behold, they were too long to fit. I had seen this last year when John had one at the Jacey Boggs spinning retreat. And then I saw another that a friend on Ravelry got. It is the coolest portable Lazy Kate. 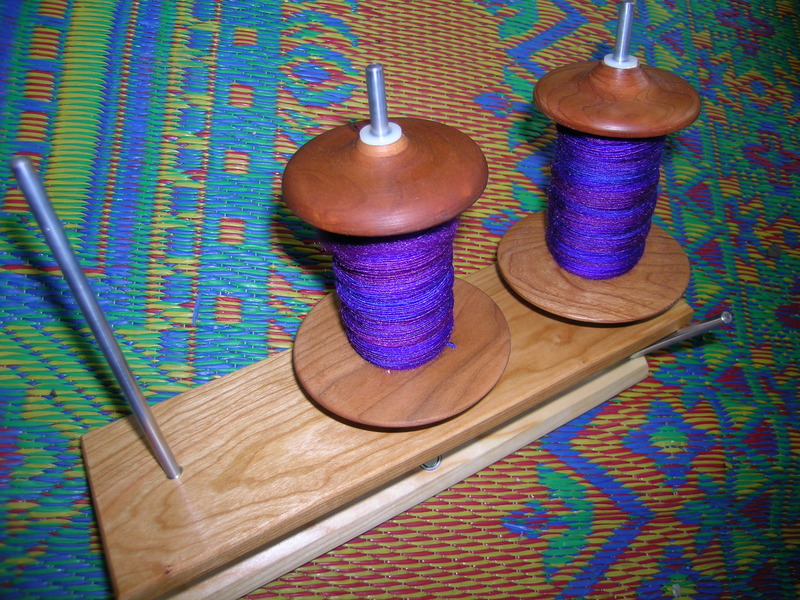 For you non-spinners, it holds the bobbins while I ply the singles on the spinning wheel. 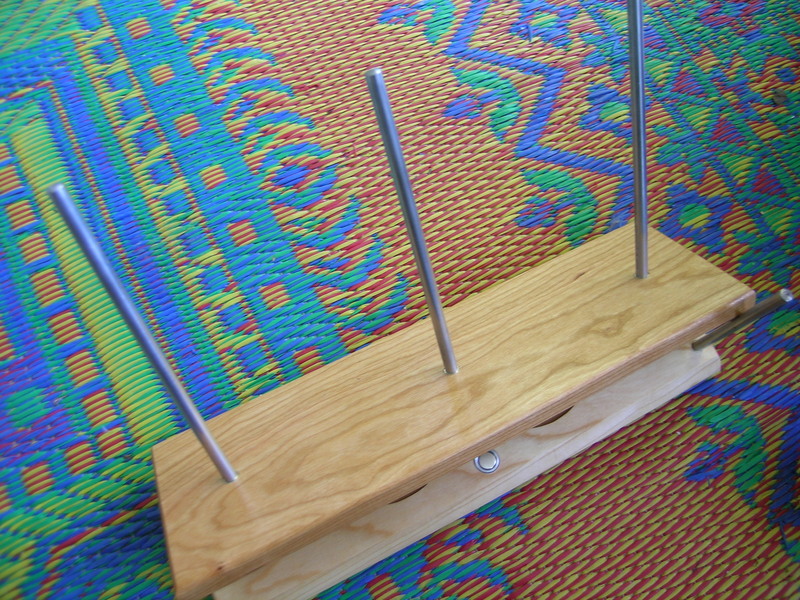 A very important tool, as you can only imagine the mess if you let the bobbins spin out of control on the floor. 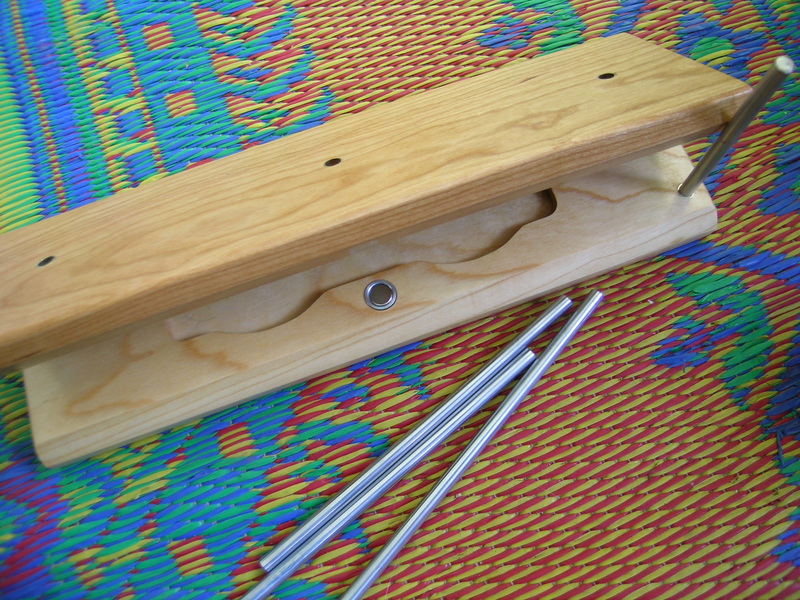 I tried plying on my new wheel with the bobbins in a box, and it was less than desirable. 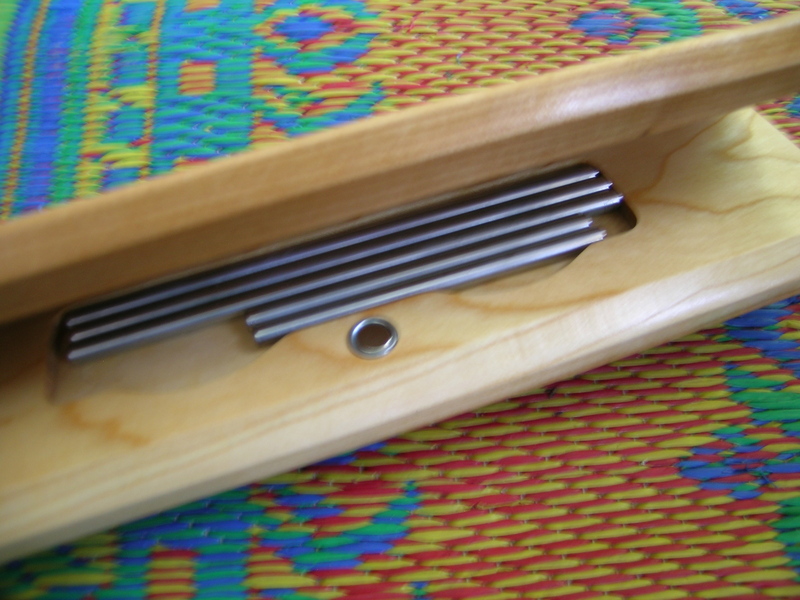 So, yet another tool for spinning. Okay, my husband was really right. 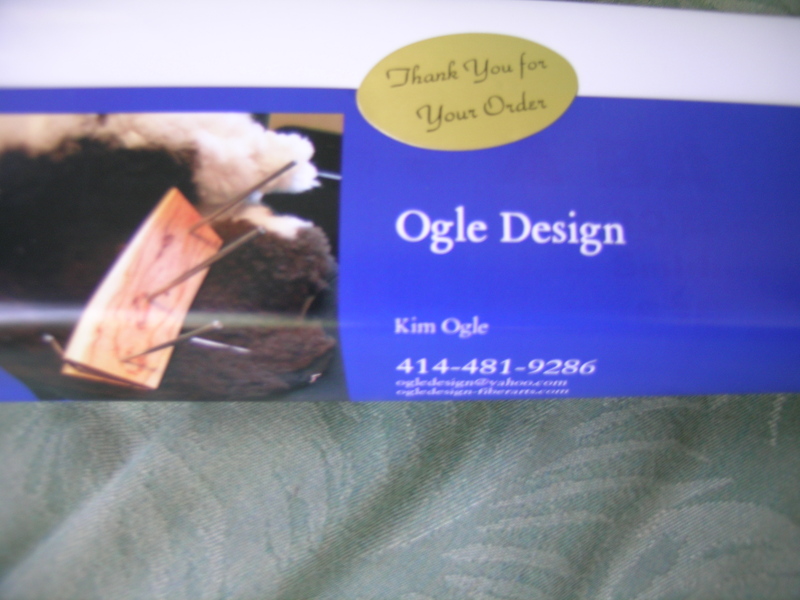 You can purchase one of your own from Ogle Design. 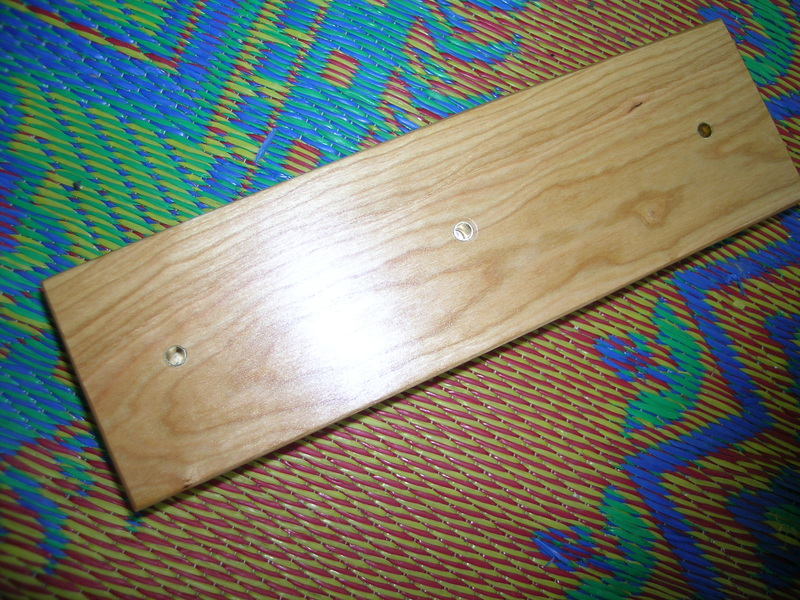 Mine is cherry with a natural finish.